Al’s Liner is a premium grade, highly customizable truck bed liner kit designed for the do-it-yourself user. With a simple at-home application process that can be performed in your garage, in the driveway, at the dock, or even on fixed installations like an outdoor patio, Al’s Liner delivers a hassle-free professional quality coating for everything you need to protect. With Al’s Liner easy to use kits, that beautiful custom liner you always wanted is literally at your fingertips. Whether you need the reliability of a professional coating, the cost efficiency of an off-the-shelf product, or the versatility of an all-in-one coating system, Al’s Liner DIY Truck Bed Kit has you covered. The rapid dry, anti-stick formula is suitable for cold and hot molds. Al’s LMR prevents sticking which increases the life of dies and molds, improves product surface finishes, and reduces production times. 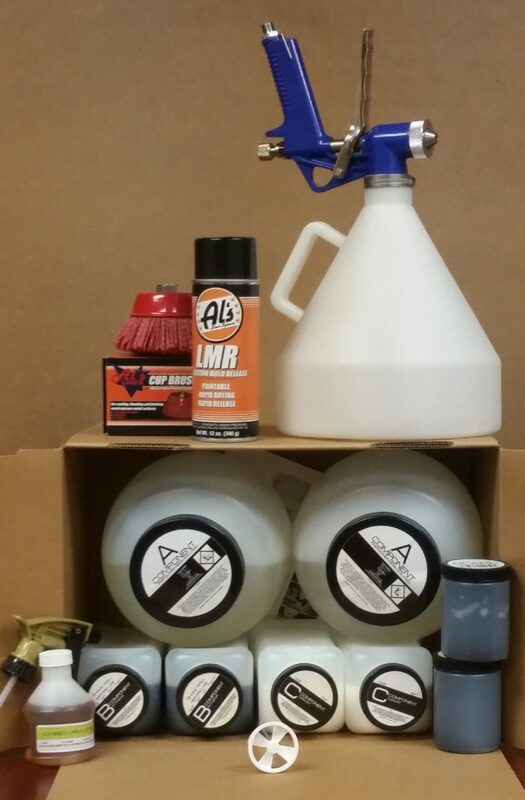 Al’s Liner LMR is biodegradable, colorless, and odorless.